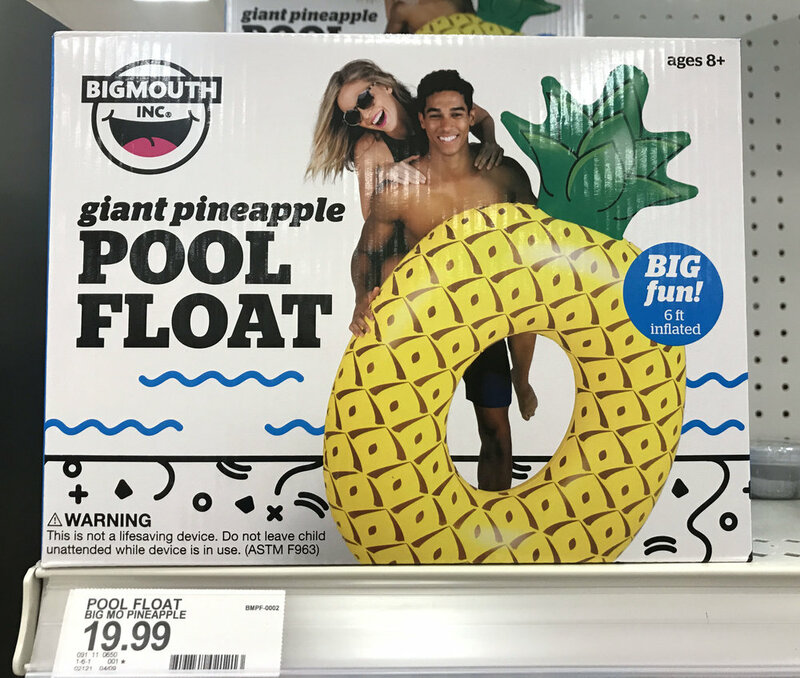 Fun Packaging Friday: BigMouth Inc. I saw this packaging for a line of inflatable tubes in Target last week and thought it was really smart. It's trendy product, but the photography with illustration is a fun execution. The copy is witty and on top of that their messaging hierarchy is on point! Plus that Lil' Float sub-brand for the kids' line of product works. Who doesn't want a rose gold flamingo float?! And then I totally went down the rabbit-hole on their website too: http://www.bigmouthinc.com/categories/best-sellers/ ... and found all these gems. This packaging has me wishing for summer right now!